The Water Villa, features unique decor and breathtaking views of the ocean and beach, giving you the feeling that your villa is floating on the ocean. It offers luxury and tranquillity with full privacy and services exclusive to the villa. The living quarters come fully furnished with modern amenities, while the defining feature of the bedroom is the ornate four-poster bed whose elegance is certainly worthy of royalty. The ultra-luxurious and roomy Jacuzzi, set amongst lush tropical indoor plants and imported river pebbles, affords one an uninterrupted view of the ocean and the unending horizon. Each room offers 117 sqm. Classic rooms at the heart of the Island boast stylish contemporary décor with a garden view. The Rooms has easy access to all facilities and consists of modern amenities to make the best of your stay. Each room offers 30 sqm. Our Jacuzzi Pool Villa, located at the edge of the island, offer luxurious modern facilities with a spectacular sea view. Your own private infinity pool stretches out towards the sparkling turquoise waves and a Cabana-style sun deck allows you to relax in seclusion and comfort. 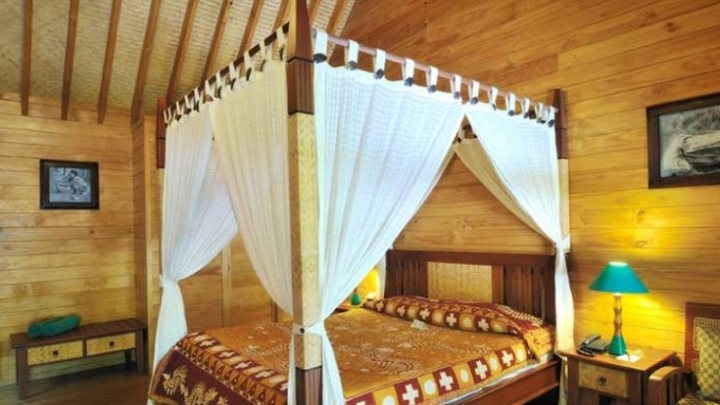 Inside, the Villa is furnished in a modern style with a king-size bed and Jacuzzi bath for the ultimate relaxation. Each room offers 90 sqm. The Bandos Standard Rooms are nestled in the lush vegetation, providing a nice beachfront view for you to relax in your private patio. Each room offers 38 sqm. Our Deluxe Rooms are spacious and inviting. The rooms are designed with unique thatched high ceilings. Each room offers 56 sqm. The Garden Villas are located in the heart of the island, near the swimming pool facilities, these wooden chalets are elegantly furnished and come with their own private patio. 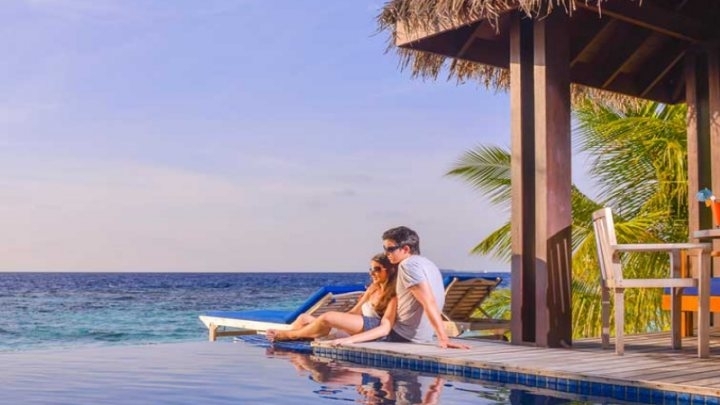 The Jacuzzi Beach Villas are perfect for your honeymoon getaway. 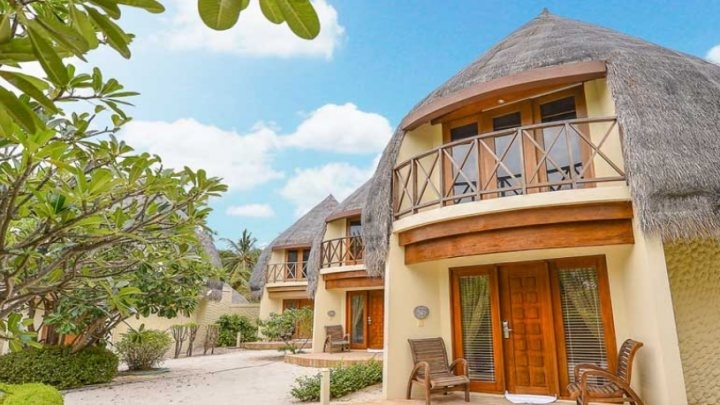 The balcony provides a pleasant view of the beach front, while the open-air Jacuzzi with its thatched roof shade offers relaxation and enjoyment. Each room offers 110 sqm.